Yuanjiangite: Mineral information, data and localities. Named after its type locality on the Yuan River (Yuan Jiang), in Yuanling county, Hunan Province, China. Hexagonal prisms and anhedral grains. 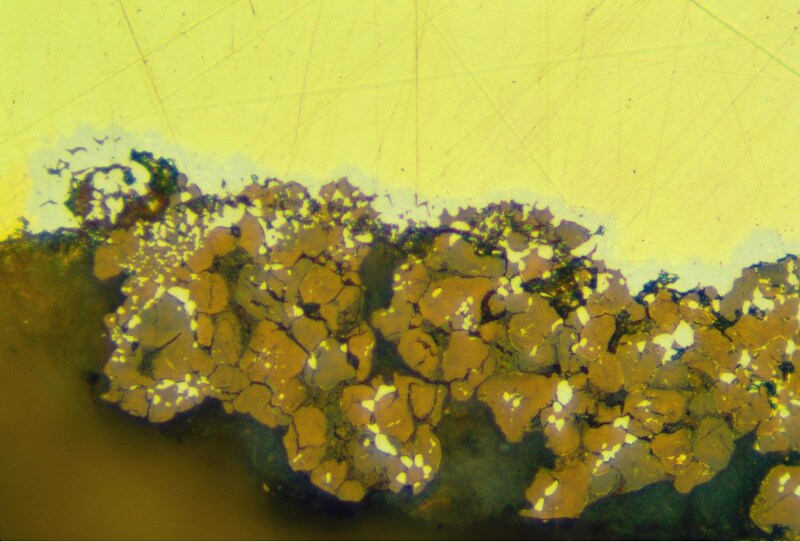 Gold 1 photo of Yuanjiangite associated with Gold on mindat.org. Chen Lichang, Tang Cuiqing, Zhang Jianhong, and Liu Zhenyun (1994) Yuanjiangite - A new auriferous and stanniferous mineral. Acta Petrologica et Mineralogica 13(3), 232-238 (in Chinese with English abstract). - New Minerals (1997), New Minerals 1990-1994, 217 (abstract).